Moving in December comes with benefits because not everyone wants to move in the winter, which makes setting an appointment with your Kamloops Movers that much easier. However, if you’ve decided to move in December there are some safety issues that we felt we should point out. We put together a list of preparations for your new home and your old home so your move goes on without any slips. Ensure you have the heat and electricity utilities set up. This is an important task for every month of the year but it’s especially important in the winter with the shorter days and colder weather. It’s also best if you plan to have them hooked up a couple days before moving day so you can be confident they’ll be functioning when you move in. 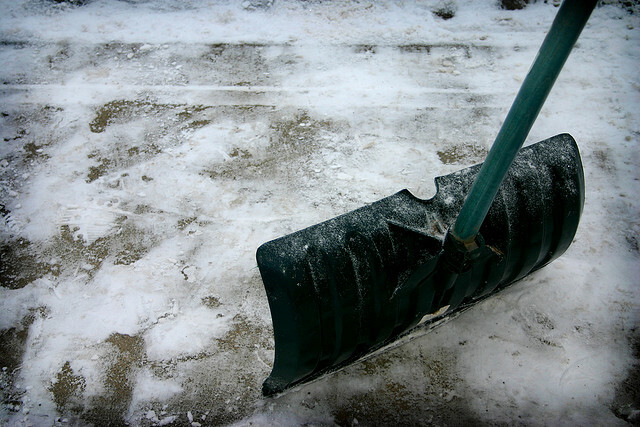 Make sure your sidewalks and drive way are shoveled and salted to prevent any overnight ice from accumulating. If you decided to move to another town or city have your real estate agent check the property for you to ensure it’s safe for moving in. If you are able to make it to your new home before the move lay down some plastic sheeting or cardboard to protect your floors from snow, sand, or salt. Keep an eye on the weather and prepare for any predicted snowfall. Shovel the driveway and sidewalks while considering extra space for dollies and movers. You will also want to lay down plastic sheeting or cardboard to protect your floors from snow, sand, or salt in your new home as well. It’s also very good to keep extra sand, salt and shovels on hand just in case your vehicle or even the truck gets stuck in compact snow. Keep hot drinks on hand for yourself and the movers as everyone will appreciate a warm beverage while moving in the winter. If you have young children it may be best to arrange a play date with one of their friends or with a family member as they may out of school for Christmas vacation. We hope these tips will help make your move go more smoothly. Remember to stay warm and plan ahead with an extra focus on safety. As Kamloops Movers we’re experienced with moving in the winter and we’ll ensure all your belongings are handled with care. From all of us at Pioneer Moving we wish you a safe and happy Christmas and a Happy New Year.